When Musk tweeted earlier this week that he planned to take Tesla private and that funding was secured, he’s sure to have thought about the repercussions of such a claim. Notwithstanding the SEC’s inquiries surrounding the statement, a few Tesla investors have filed two separate class-action lawsuits in the Northern District of California near Palo Alto, where the Tesla headquarters is situated. The gist of the lawsuits is that Musk (and, thereby Tesla) is being accused of perpetrating fraud against Tesla shareholders by falsely indicating that Tesla is going private and has the “funding secured”, as Musk put it. The suits say that stock prices were up 13% after Musk’s unconventional announcement on Twitter. The price subsequently dropped again, but that’s not being brought into the picture. So artificial share price inflation is the crux of the suits. There are two sides to this story, of course. While it’s certainly true that Musk’s tweet has caused a lot of people to run around in circles trying to figure out who the mystery backer for the possible buyout deal really is, it is also true that the investors on behalf of whom the lawsuits have been filed have not brought any evidence to the contrary. They don’t have proof that funding is not secured and that Tesla is not going private; Musk is saying it is and it is but hasn’t offered any public proof, either. The Board of Directors at Tesla Inc. will meet during the coming week to chart out a process to evaluate his plan. If they’re already aware of who the backer is – and it’s likely that they are – and they actually announce a formal take-private plan, then the lawsuit will be deemed meritless, and therefore likely to be dismissed by the respective presiding judges. The corollary of that is, if Musk was, in fact, misleading investors, then he and Tesla are in a legal soup, to use a technical term. Our opinion is that there is no way he would risk putting the company or himself in jeopardy unless he had something more than a mere verbal indication from the backer that they would, in fact, commit to funding the deal – or at least lead a consortium to that effect. The SEC inquiry will presumably seek to learn more about this “funding secured” comment and Musk’s plans to take Tesla private, but it will be more interested in whether or not he was within bounds to make such a public claim. On the one hand, Musk is definitely taking a risk if funding is not actually in place and under some sort of contractual obligation. 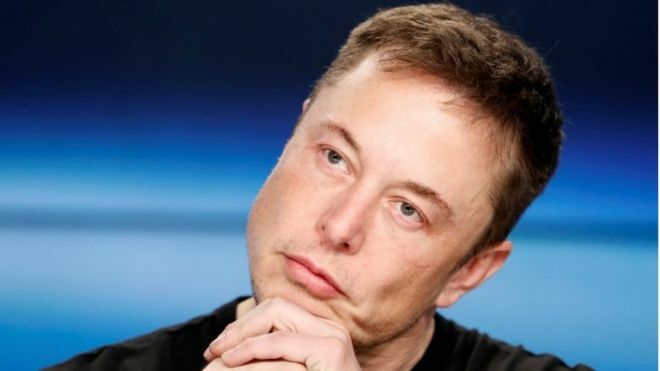 On the other, since this buyout is likely to have a very unique structure because of his open offer for interested public shareholders to stay on in a private Tesla, it’s likely that he wants to keep it under wraps for as long as possible. I find it hard to believe that Musk would go behind the Board’s back to hammer out a deal with a yet-unknown entity without a backup plan should things fall through. Musk already re-confirmed via another tweet a few hours later that “investor support is confirmed”, and that the deal now depends on the shareholder vote. My take is that the Board has been clued in by Musk on who the key investor in this deal might be, and that the plan is being finalized behind closed doors, with the SEC only being given as much information as it needs to stop it from blowing the whole thing open and directing a full-on probe. All that remains now is for a formal announcement to shareholders, and then the vote itself. Things are moving fast, so we will hopefully see some movement on that in the coming weeks. That, as well as the outcome of the Board meeting and perhaps more information about the SEC inquiry as well. Oh, and let’s not forget the lawsuits.